Can you Imagine seeing Paul McCartney in Red Square bringing tens of thousands of people cheering as one, swept up with emotion and waving their arms in the air, singing to “Hey, Jude”? It is inspiring and uplifting, but it’s hard to imagine the event without the LED displays and the full range sound system. The role of AV has nobility we should recognize and cherish along with an appreciation of the music. Music has an effect on everyone, but especially on those in the AV industry. Some of us use it as an outlet. Some of us got our very first industry job through being a roadie. Some of us even get together for jam sessions (hello, Drunk Unkles!). It's because of this intense connection that AQAV will honor our industry’s deep-rooted history with music at its May 10th 'Music is Life' Fundraiser. During this night of networking, knowledge sharing, and fun, funds will be raised to create four full scholarships to an AQAV course of the recipient's choice. 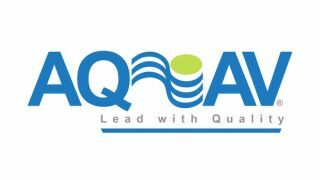 "I am encouraged by the work that AQAV does, knowing that in order for all of us to succeed, a new level of quality standards must be adopted," said Gina Sansivero, FSR's director of business development, and an AQAV board member. "AQAV’s founding members have created a new framework on which our industry will build a quality-focused future as professional service providers, trusted and reliable advisors, and technology evangelists. Scholarship funds will be raised via raffle tickets. Attendees can purchase raffle tickets to win prizes like Mets/Yankees tickets, high-end home theater speakers, tickets to a musical, and more. Event sponsors include Crestron, FSR, Level 3 AV, NCS Audio Visual Division, Pro Sound & Video, and Verrex. For more information about the event, which will be held at Crestron's NYC Design Showroom, visit https://www.aqav.org/fundraiser.